(TRR) After just wrapping up a string of tour dates in celebration of the 20th anniversary for their “Darkest Days” album, Stabbing Westward hit the road once again for a few one-off shows with one of them taking place at Philadelphia’s historic Trocadero Theatre. 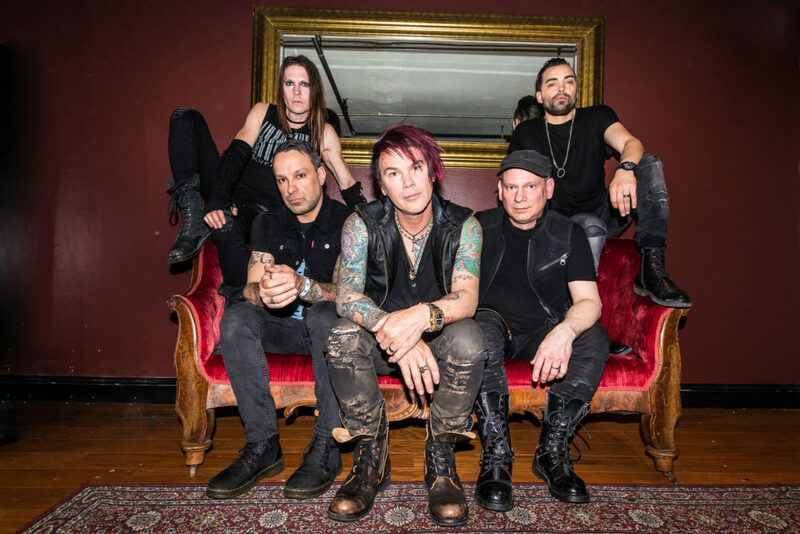 The industrial rockers performed to a packed house in Philly and it seemed only appropriate that Stabbing Westward be one of the final shows that will be taking places in this iconic theatre. In fact, Stabbing Westward vocalist Christopher Hall even made note of this as he reminisced about Philly being a second home to the band and that their very first performance in the city back in the early nineties took place at the Trocadero. The band appeared just as sad to see this venue go, as the fans who were in attendance. The crowd went wild once Stabbing Westward took the stage and blasted out some of their biggest hits such as “Falls Apart”, “So Far Away,” “The Thing I Hate”, “Torn Apart”, “Save Yourself” and closing out the set with “Shame”. We found ourselves belting out the lyrics to each and every song and the performance of these songs felt just as fresh as it did over 20 years ago which a true statement that the music of Stabbing Westward is truly timeless. During in pre-show interview, keyboardist Walter Flakus revealed to us that the band is currently working on new music, but are still in the process of deciding just how they want to release it and it should be coming out sometime very soon. This is definitely music to our years, as we have been yearning for some new Stabbing Westward for quite some time now. The band put on a fantastic and energetic show, proving that time has done nothing to slow them down and they certainly do not plan on leaving us again anytime soon! The band is set to play the upcoming INKcarceration Festival this summer and we will definitely be keeping an eye out for additional touring news to be revealed in the coming months. Tagged interview, stabbing westward, The Trocadero Theatre.